A star attraction for your desktop or workspace. 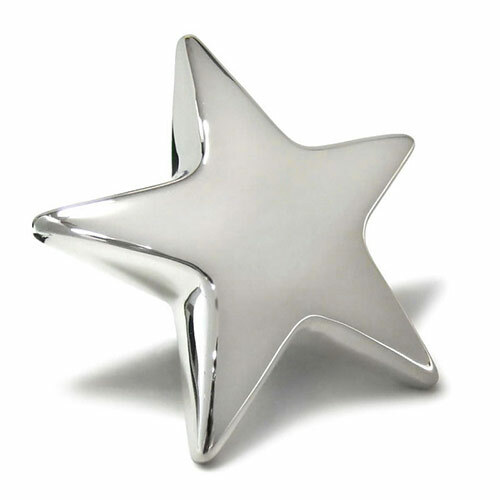 These magnificent star shaped paperweights are crafted from a heavyweight metal base with a fine quality silver plated finish. They are perfect for engraving, for instance with details of an achievement or as recognition awards, and they are offered with free text and logo engraving. 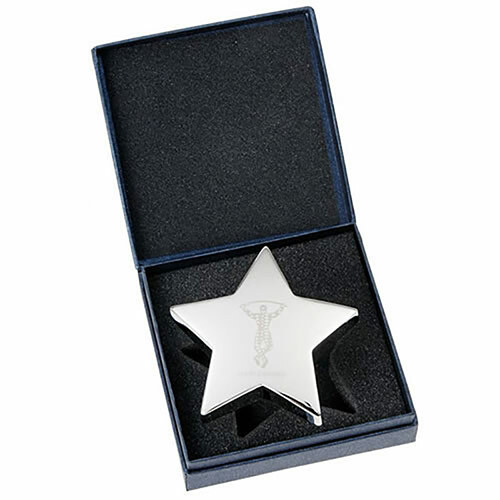 A corporate gift or award with real star quality!